Dr. Kelcey Jeppson - Dr. Jeppson graduated from Creighton University with a degree in Biology and Creighton School of Dentistry in 2007. 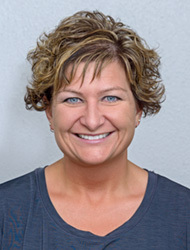 Dr. Jeppson enjoys making a difference in her patient's lives and smiles, whether it's replacing missing teeth, correcting a crooked smile, or just relieving pain from a toothache. She lives in Hebron with her husband, Alan. In 2017 they became parents to twins Ellis and Ivy, who keep them very busy! Jan Wolfteich - In 2017 Jan married Glennis Holtmeier from Tobias, NE. She is still a farmer's wife! They enjoy traveling together to different states. 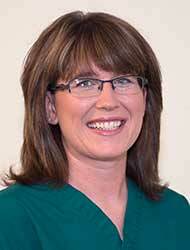 She has been a dental assistant for 29 years, working in Geneva and Hebron. 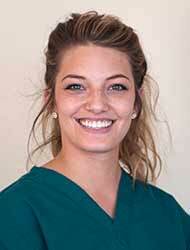 Now she works at Hebron Dental Care 3 days a week and truly enjoys all the people she has met over the years. Whitney Butler grew up in Grand Island, NE and graduated from the Dental Hygiene program at Central Community College in Hastings in 2013. Whitney is married to Cody Butler and lives in Superior, NE. 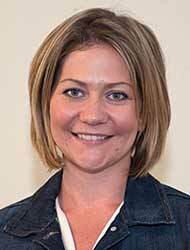 When Whitney is not cleaning teeth, she enjoys hunting, gardening, and going to the lake with family and friends. She also loves the company of her two dogs, Ren and Bugs, and one kitty, Oliver. Kristen Corman lives in Ruskin, NE with her husband Brock and their two girls, Lilly and Chloe. She graduated from UNK with a Bachelors Degree in Exercise Science and Minor in Health Science. 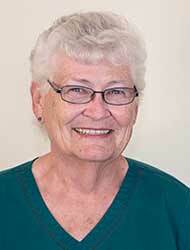 She later attended Hasting Community College to receive a degree in dental assisting. Between working, their farm, and their girls, they are pretty busy. They do make time in the summer to go camping with family and friends. Kelli Schardt grew up on a ranch in Stapleton, NE. 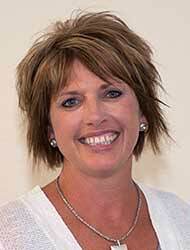 She attended Central Community College in Hastings and graduated in 2000. She's been a dental hygienist for 18 years. Kelli has two children, 11-year-old Conner, who manages the family egg business, and his little sister, Lakin. When she's not cleaning teeth, Kelli likes to play with her children, tend her flower garden, chase chickens and watch over her cow herd. Penny Pfingsten lives in Hebron with her husband Lyle. Together they have three daughters and six grandchildren. In her spare time she enjoys working in the yard, spending time with her grandchildren and taking rides on the motorcycle with her husband and friends.